Brianne Carol Kennedy was a loving sister and daughter who excelled at everything she did. She loved music, and won numerous awards for playing the piano and dancing. She was a very bright student, maintaining an average of above 90% throughout her school years. She was a role model to younger children at the school and especially to us, her sisters. 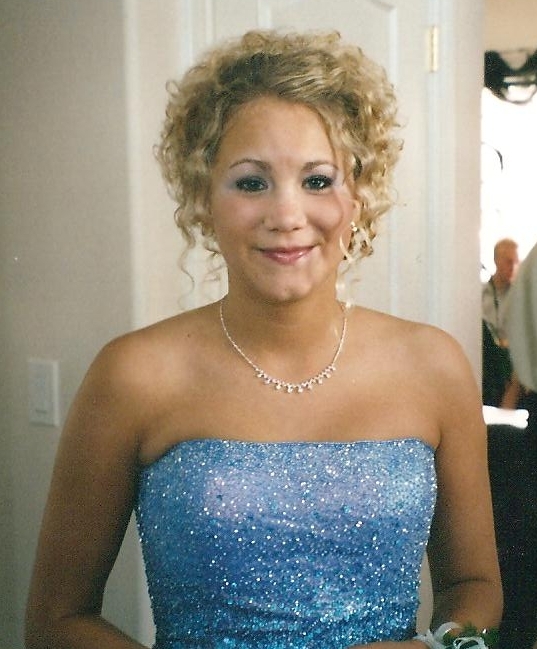 Brianne graduated from the Kindersley Composite High School in June 2003 and continued her education at the University of Saskatchewan, completing her first year in the Arts and Science program. She was accepted to the College of Commerce at the University of Saskatchewan and Athabasca University in June 2004 and planned to continue her studies online through Athabasca. Brianne was full of laughter and fun. She had a wonderful smile that brightened everyone's day. Brianne is greatly missed, not only by her loving family, but also by her friends and her entire community. At night Brianne is our shining star, and through the day she is our beautiful angel that watches over us. Brianne loved us dearly and we loved her, maybe even more. For the rest of our lives she will be with us in our hearts and not a day will pass that we won't think about her, miss her, but most of all love her. I'm Callie - one of the cofounders of Life is Worth Living. I believe each and every one of us has a story that relates to mental health, mental illness, or suicide and it is time we are able to speak openly about them. I have been a suicide survivor for thirteen years now and I still wish everyday that I wasn't. I have felt some of Brianne's suffering through dealing with my own depression and anxiety, however I have not come close to feeling the pain she felt that August evening in 2004. I miss my beautiful older sister Brianne every single day. I share her story, my story, and our family's story to encourage those suffering to reach out. I hope to prevent other families from ever having to experience the pain and grief we have since losing Brianne to suicide. I do my best everyday to live my life to the fullest and I hope she is proud of the woman I have become. I’m Jaclyn—I created Life is Worth living along with my sisters. I share Brianne’s story and what I have been through as a result of Brianne’s suicide because no one should ever have to lose someone to suicide. When I lost Brianne, thoughts of how could this have ever happened to my family definitely crossed my mind. We lived in a house full of love and laughter, how could my sister have been in so much pain that she felt life was no longer worth living? My heartaches every day knowing Brianne isn’t here to partake in our lives and be present. I cannot put into words how much I miss her. It is because of her I make time every day to try and understand what makes my life worth living. Ultimately we share our story about suicide and loss, however sadly so many people share a very similar story. Through selling apparel and spreading awareness we hope to give people courage to come forward to share their struggles and tell us what makes their life worth living. I'm Shalyn - the third cofounder of Life is Worth Living. I have always looked up to Brianne, both as a little girl and as I've grown up through the years. She was smart, funny, and beautiful, but most importantly she was kind. I was only able to spend five short years with my sister, Bree. I will forever be thankful for the time I was given with her, no matter how short it was. I have been taught from a young age how important it is to take care of your mental health. I believe that speaking openly has helped me to become the person I am today. I share my story because I want people to know that there is nothing to be ashamed of and that there is help available. It breaks my heart that Brianne had to suffer through so much pain. I want to let people know that suicide isn't their only option and things can and will get better.